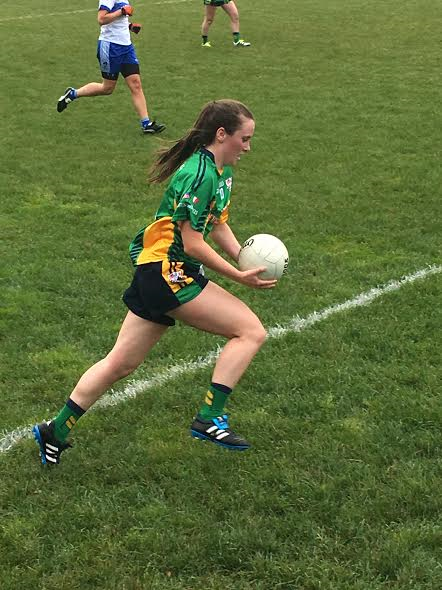 The Ladies senior football championship got off to a start Saturday afternoon with a one sided win for the Boston Shamrocks. A score of 8-9 to a goal and four points puts the Shamrocks one game to the good in the best of 5 series. With such a one sided affair, it seems that it will take moving a mountain for the Connacht Ladies to lift themselves back into the series. A couple of injuries early into the game hurt the efforts of the challengers to the Ladies senior title, and they never really got out of the starting blocks. Sarah Jane McDonald heading for goal. At the break the Shamrocks lead was 3-4 to a goal and a point for the Connacht Ladies. Sarah Jane McDonald netted twice for the Shamrocks as the forward line ran rampant, while the third was put away by Ciara McGuigan. Connacht Ladies had a ray of hope after Shauna Garvin netted, but the second half proved to be too much of a mountain to climb. McDonald completed her hat trick early into the second half as the scores just piled up for the Shamrocks. Further scores from Shelly Twohig, Becky Mongan, Eaodain Connolly and Tessa Crowley piled the misery on. The westerners pointed through veteran Jane Ward and Maria Kelly. The Connacht ladies will be hoping for a better showing in the next meeting of the teams in 3 weeks time. Connacht Ladies: Jackie McDonagh, Niamh Hynes, Shauneen McAleer, Hayley Kilgallon, Siofra Cleary, Niamh Sheridan, Catherine Boyle, Aisling Kerr, Roisin Boyce, Ellie Lane, Jane Ward, Kelly Harris, Ainbhe Finnerty, Shauna Garvin, Maria Kelly. Shamrocks: Sinead Hession, Cathy McEleaney, Nicole Byrne, Louise Kiernan, Kayla Farren, Shelly Twohig, Niamh Fitzpatrick, Laura Kiernan, Eaodain Connolly, Sarah Jane McDonald, Shannon Mullen, Aisling Grimes, Ciara McGuigan, Tessa Crowley, Rebecca Mongan. 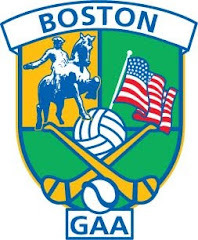 Sunday June 11 - The Championships Continue!